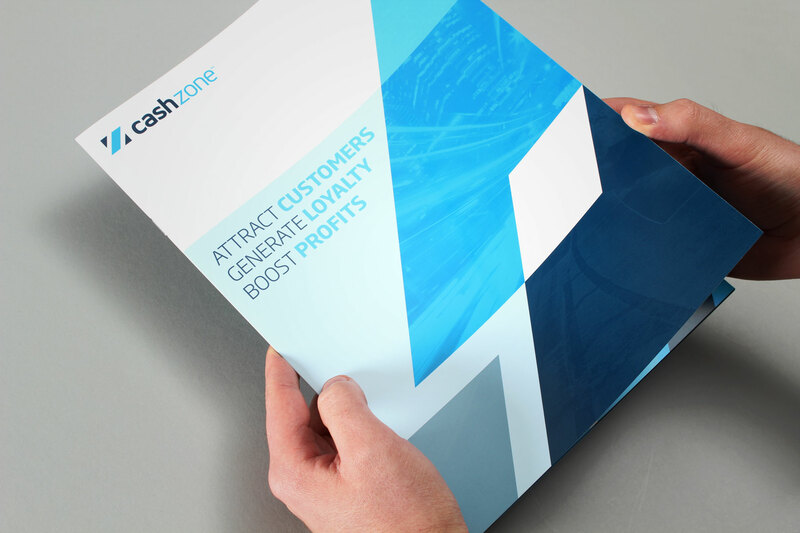 Creating a striking financial retail brand with a strategy to enhance future brand equity. 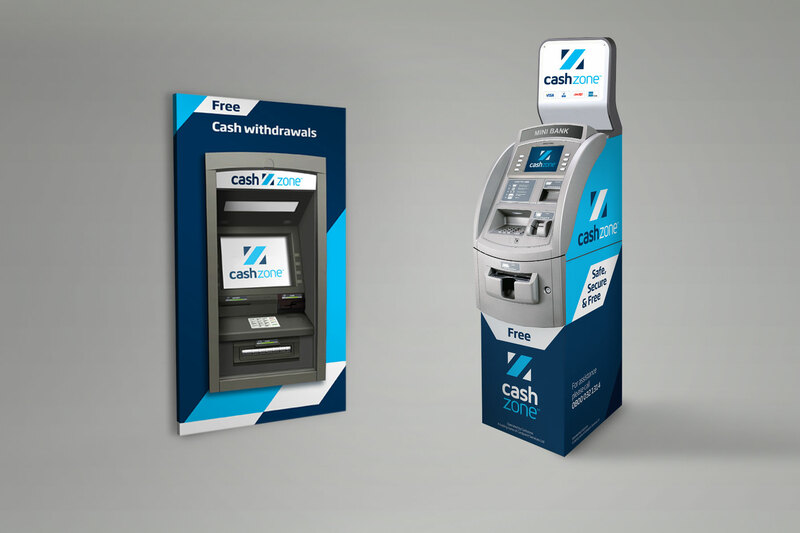 Cashzone is a trading brand of Cardpoint Services Plc. Established in 1999 they own 1 in 10 UK ATM’s within the UK. A footprint which far exceeds any single bank or building society. 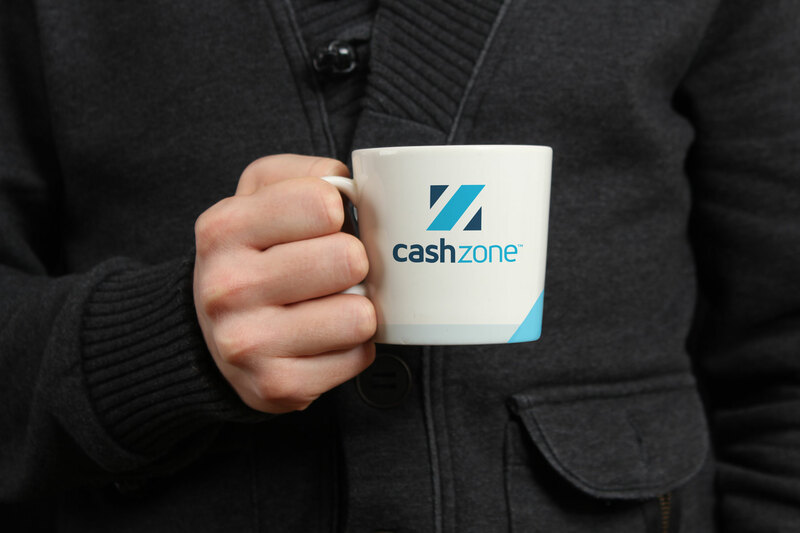 The Cashzone network manages 100 million transactions a year with up to 220,000 transactions processed per peak hour. Our responsibilities included strategy, brand identity, visual look and feel, messaging, research, literature design, print advertising and a set of comprehensive brand guidelines. 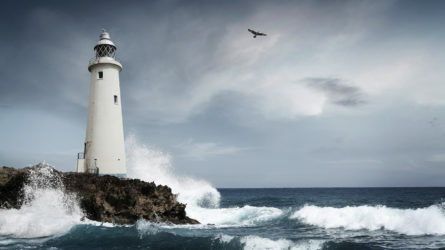 The brand is supported by dynamic urban imagery rendered in cool tones. We wanted to create a look and feel which could be instantly recognised and which had a very strong presence on the street. We looked to the emergency services and other striking examples. 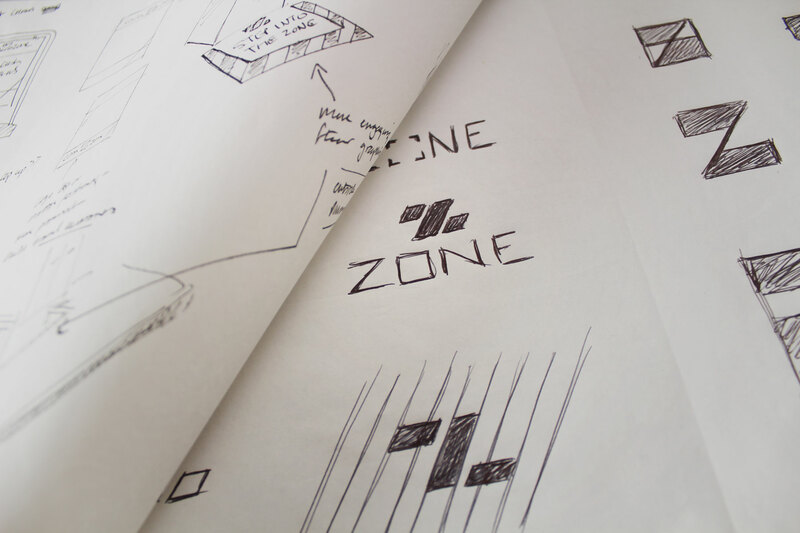 The patterning of the key idea enabled us to harness the geometry to form a Z icon. We chose and crafted a hand cut sans serif. 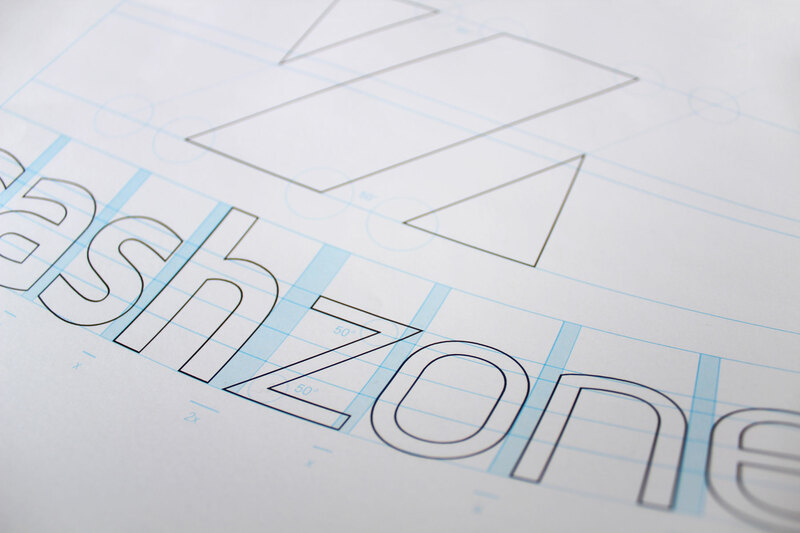 The freedom and strength of the graphical language allowed for great flexibility within a consistent visual framework. We developed a full suite of literature which carried core messaging that we had established. The brand has been applied to a myriad of different promotional gear. By following a few simple rules, the graphic language can be formatted to fit any environment. The combination of striking colour palette and ownable chevron patterning creates a powerful brand image. The resulting angular look and feel creates a highly unique graphic language. 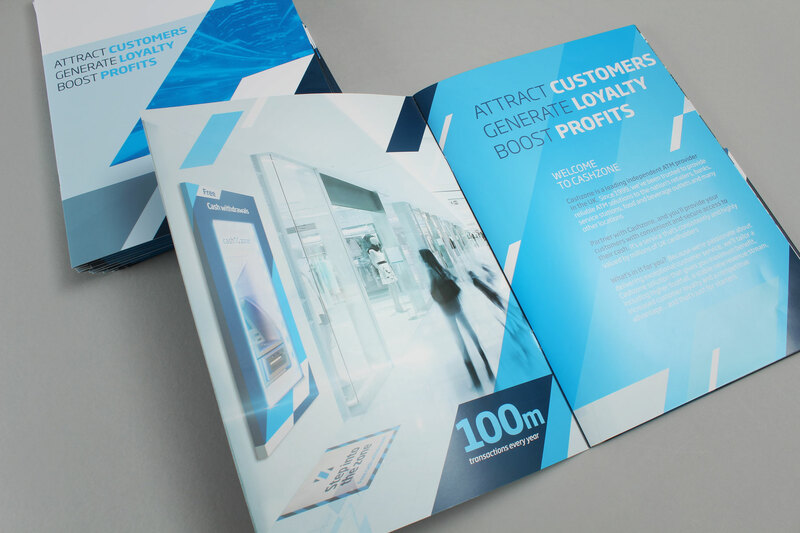 We worked with manufacturers to create brand assets designed to increase footfall. LED lighting and localised vinyls became the first development. The brand identity has been supported by a unique typographic language which complements the striking aesthetic. Firedog created a strong and consistent ATM brand that has real stand out and trust. 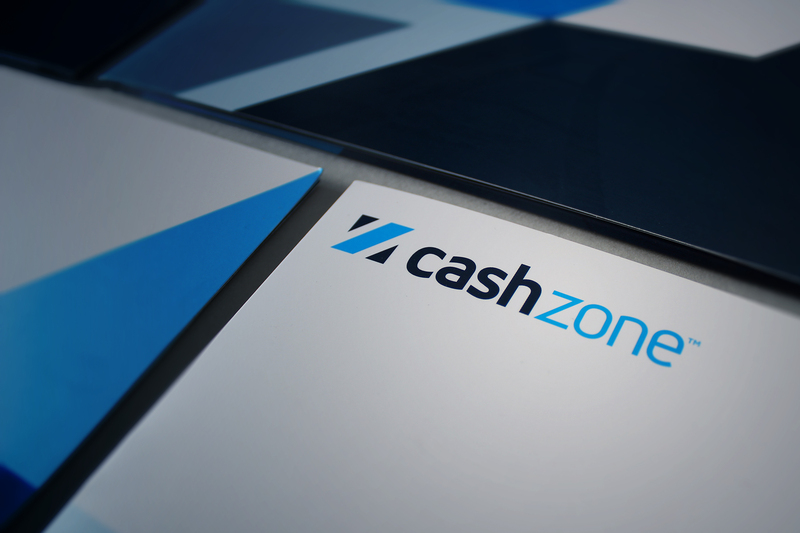 Cashzone had lost a lot of its brand equity from being repeatedly bought and sold over the years. Marketing and brand values had always played a bit part both within the business and the sector as a whole. 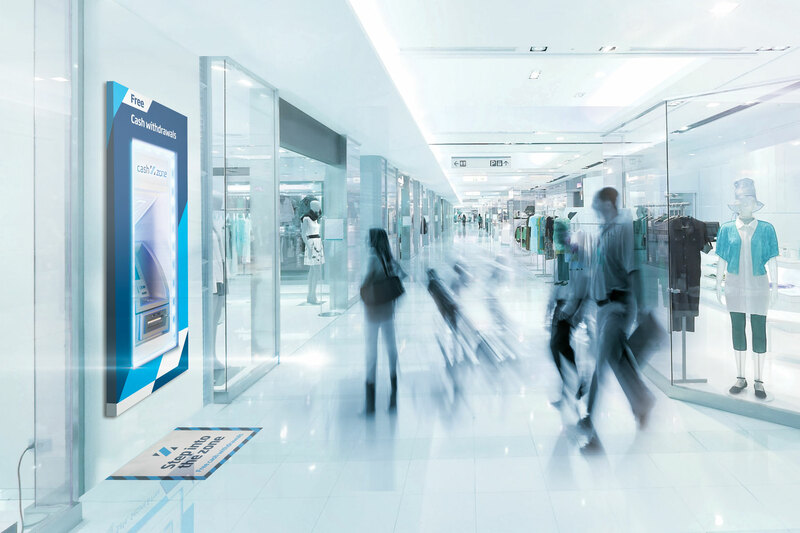 An opportunity exists for a new high street brand which not only severs perceptions from the past but paves the way for a fresh, dynamic and respected entity – in short, to create a strong and consistent ATM brand that has real stand out and trust. We looked toward the emergency services and their high impact livery. 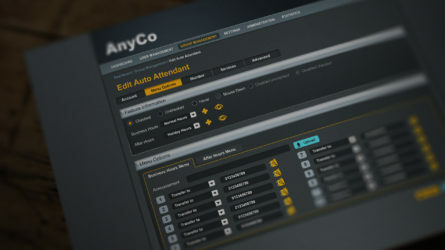 The previous brand applications were very generic with no ownable visual look and feel. 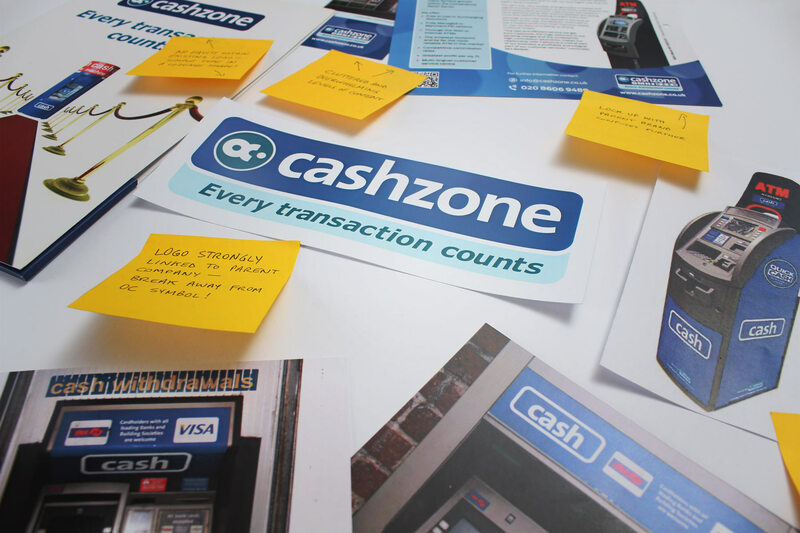 To create a prominent high street brand Cashzone needed a powerful and memorable aesthetic. We looked toward the emergency services and their high impact livery. We quickly realized upon the common usage of a striking repeat graphic pattern – a gestalt. 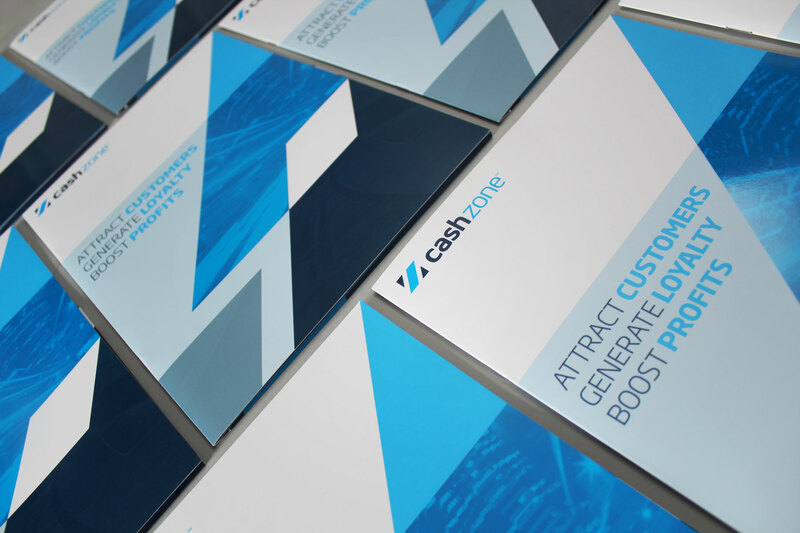 With Cashzone, we adopted a flexible and unique chevron graphic device which could be applied to all materials. The resulting graphic system ensured a memorable brand with high consumer recall. The resulting graphic system ensured a memorable brand with high consumer recall. 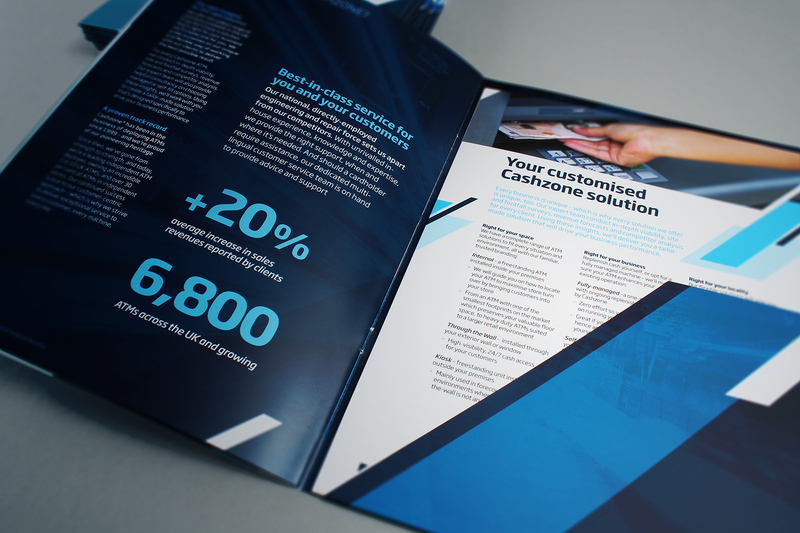 The ATM livery language was tested with ATM users to ensure stand out from direct competitors and the main high street banks. 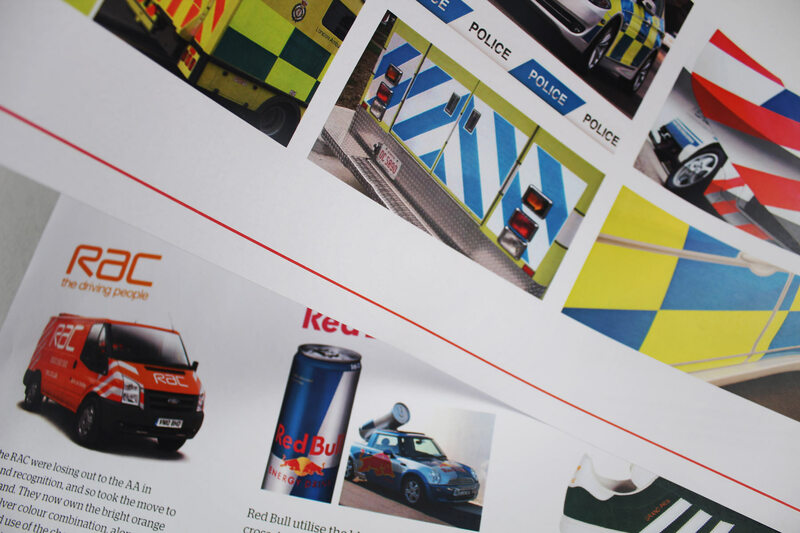 The chevron device was used across all collateral from machine liveries to corporate literature, stationery and print advertising. The graphic system was combined with imagery comprised of cool hues in order to create a slick, contemporary look. The brand has been successfully sold for a total consideration of £107.5 Million. The new branding itself out on the street has been met with great success with a series of large signed business to business contracts. The machines which have been re-branded have seen between a 10 – 20% increase in transactions. 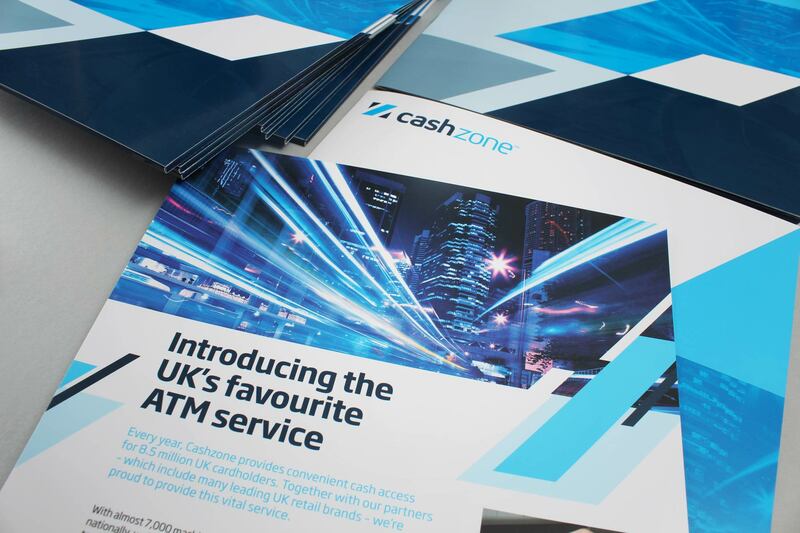 Since the rebrand, owner Cardpoint has gone on to sell Cashzone to US-based ATM services provider Cardtronics for a total consideration of £107.5 Million. 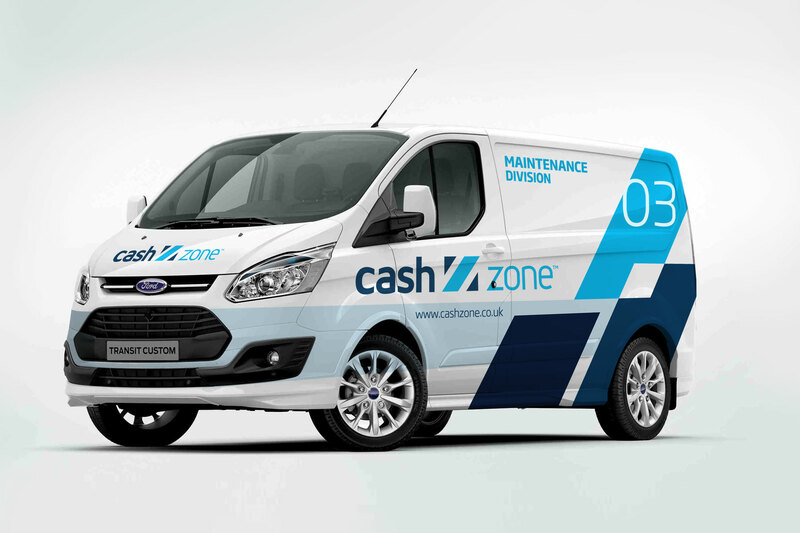 All Cardpoint’s portfolio (Cashzone, Cardpoint and Bank Machine) will continue to operate within the new Cashzone brand livery.